Yet another decision from the Supreme Court reiterating its earlier views for ensuring the purity of election process. The case arises from an election petition challenging election to Ambernath Constituency, Maharashtra. One Kisan Shankar Kathore was the successful candidate in the election of legislative assembly, but his election was challenged through an election petition filed under Section 100(1)(d)(i) and (iv) of the Representation of the People Act, 1951 Act, on the ground that in the nomination form filled in by the appellant he had filed false affidavit suppressing facts. The High Court allowed the election petition, and set aside the election. a) Non-disclosure of dues to Maharashtra State Electricity Board in respect of two service connections held by him amounting to Rs.79,200/- and Rs.66,250/-. b) The appellant failed to disclose the ownership of Bungalow No. 866 and the taxes dues thereof amounting to Rs.3,445/- owned by his wife. c) The appellant failed to disclose the particulars of the vehicle MH-05-AC-55 owned by the wife. d) The appellant is guilty of non-disclosure of property owned by firm Padmavati Developers of which the appellant is a partner, which owns two plots of lands measuring 1313 sq.mtrs. And 1292 sq.mts. in Survey No. 48, Hissa No. 9 of Mouze Kalyan, Taluka Ambarnath, District Thane, Maharashtra. Bench comprising of Justice S S Nijjar and Justice A K Sikri after summing up the evolution of reforms in Indian electoral laws finally posed the following questions. a) Whether there is a substantial compliance in disclosing the requisite information in the affidavits filed by the appellant along with the nomination paper? b) Whether non-disclosure of the information on account of aforesaid four aspects has materially affected the result of the election? Para 34 “ Pare Insofar as non-disclosure of the electricity dues is concerned, in the given facts of the case, we are of the opinion that it may not be a serious lapse. No doubt, the dues were outstanding, at the same time; there was a bona fide dispute about the outstanding dues in respect of the first electricity meter. It would have been better on the part of the appellant to give the information along with a note about the dispute, as suggested by the High Court, we still feel that when the appellant nurtured belief in a bona fide manner that because of the said dispute he is not to give the information about the outstanding amount, as it had not become 'payable', this should not be treated as a material lapse. Likewise, as far as the second electricity meter is concerned, it was in the premises which was rented out to the tenants and the dues were payable by the tenants in the first instance. Again, in such circumstances, one can bona fide believe that the tenants would pay the outstanding amount. No doubt, if the tenants do not pay the amount the liability would have been that of the owner, i.e. the appellant. However, at the time of filing the nomination, the appellant could not presume that the tenants would not pay the amount and, therefore, it had become his liability. Same is the position with regard to non-payment of a sum of Rs.1,783/- as outstanding municipal dues, where there was a genuine dispute as to revaluation and reassessment for the purpose of assessing the taxes was yet to be undertaken. Having said so, we may clarify that it would depend in the facts and circumstances of each case as to whether such a non-disclosure would amount to material lapse or not. We are, thus, clarifying that our aforesaid observation in the facts of the present case should not be treated as having general application. On other aspects of Challenge, the court held that the suppression is material and affirmed the findings of the High Court. 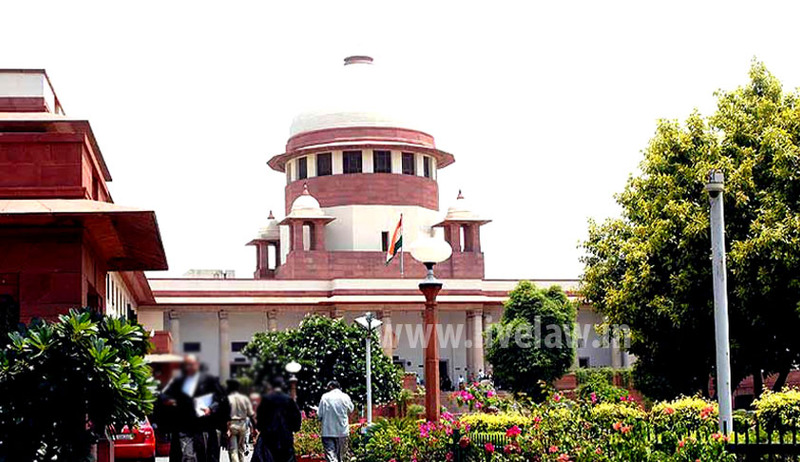 According to the Court, the citizens have fundamental right under Article 19(1)(a) of the Constitution of India to know about the candidates contesting the elections and this is the primary reason that casts a solemn obligation on these candidates to furnish information regarding the criminal antecedents, educational qualifications and assets held by the candidate, his spouse and dependent children. It is on that basis that not only Election Commission has issued guidelines, but also prepared formats in which the affidavits are to be filed. As a fortiorari, it follows that if the required information as per the said format in respect of the assets of the candidate, his wife and dependent children are not given, it would amount to suppression/non-disclosure. Earlier in a landmark Judgment declaring Right to Know your Candidate a Fundamental Right, Supreme Court has observed that Filing of affidavit with blank particulars will render the affidavit nugatory. Read Report here. Please read the very informative judgment, which records the relevant provisions of the Representation of the People Act, 1951 and the Judgments of the Supreme Court which stood as law under Article 141 of the Constitution of India, till the appropriate guidelines were formed by the Election Commission of India.